In summer 2012, I went to Tokyo. 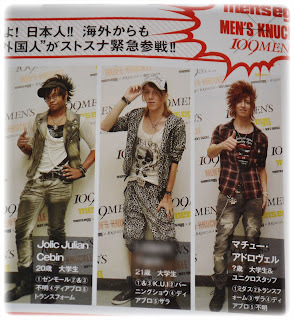 And I had the chance to participate in an event during a weekend with models magazines of "Men's Egg", "Men's Knuckle" & "Men's Spider" in the Shibuya 109 Men's tower. I was very happy to see them in real life, unlike the pages of magazines. They are people like you and me, and this allows to not feel too inferior to them. I also had a few autographs, but I know more you tell which write which. Me with Katsumi Yoshida & ?? This is a great memory for me. 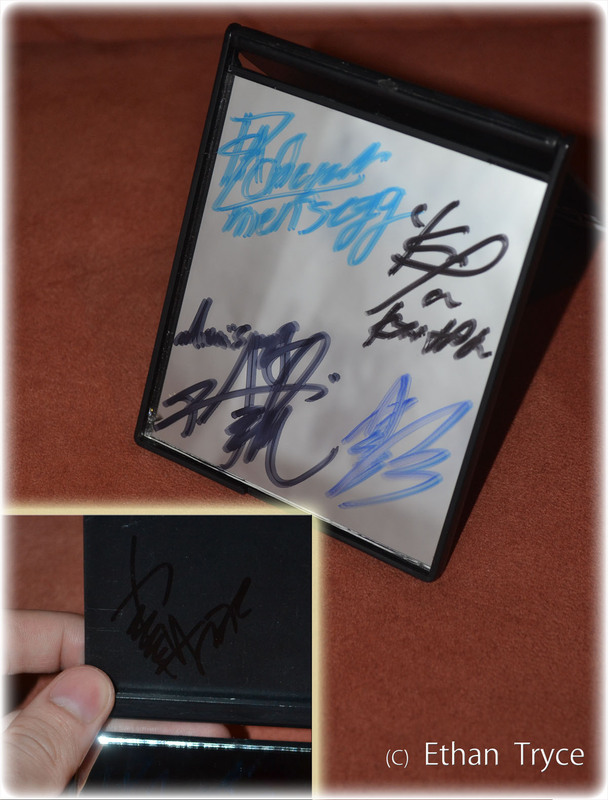 I have these pictures, my autographs and surprise on my return to Switzerland, I was told that I saw in the magazine "Men's Knuckle!" Awesome! My photo has been selected. And I am, seems it, too in "Men's Spider", but I have not been able to get it. Thank you Ouddara, for bought the magazine in Paris for me, and to sent me it. 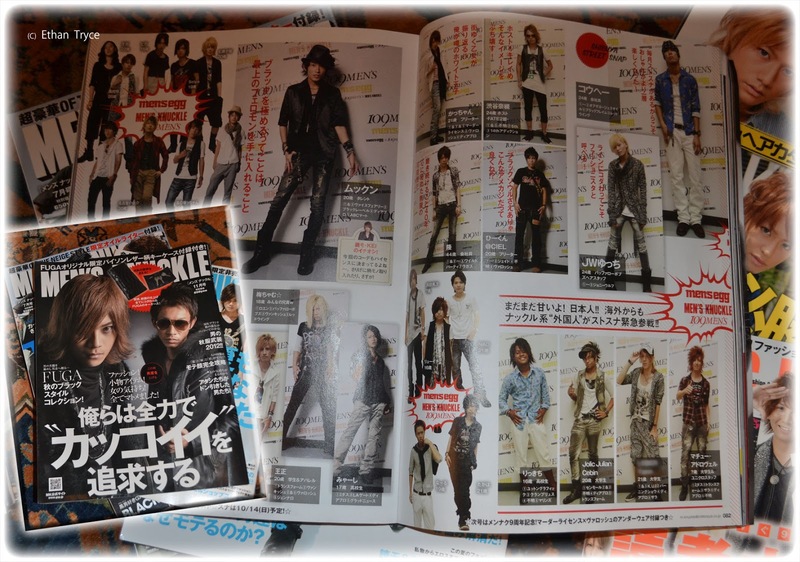 It's difficult to find men's magazines, for Gyaruo's fashion, and there are not many.I think "Men's Knuckle" is the best, with more outfits worked and host inspirations. "Men's Egg" is nice, but more casual. 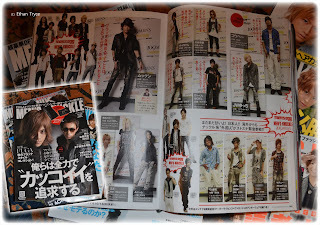 And finally "Men's Spider" is more oriented Visual-Kei and V-host's fashion.